Wilmer has always known that the greatest science comes from the keenest observations. 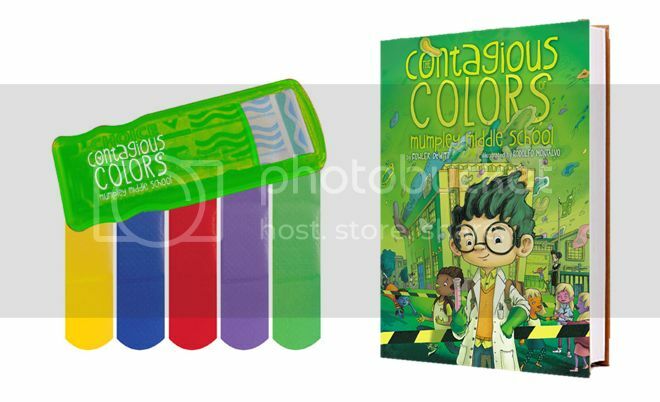 So when he observes his classmates looking a little green…and orange...and chartreuse-fuchsia polka-dotted...he knows that it’s up to him to find the cause of this mysterious illness—and the cure. 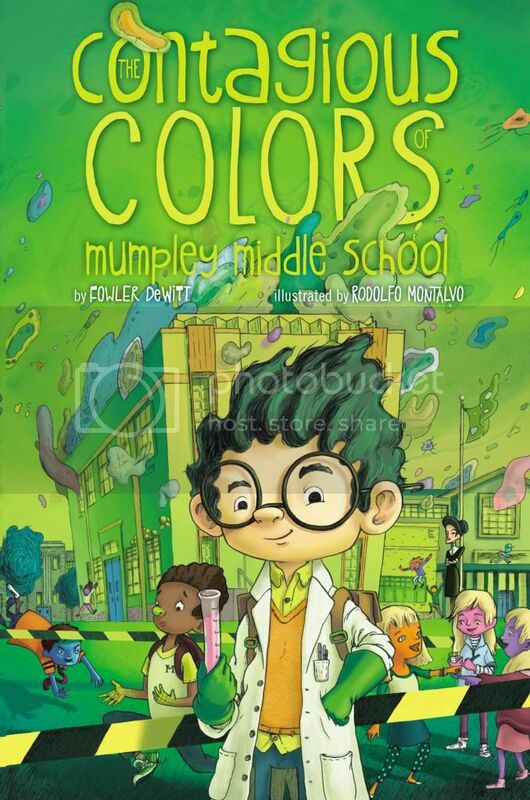 But with his arch nemesis, Claudius Dill, hot on his heels; the eagle-eyed biology teacher, Mrs. Padgett, determined to thwart his plans; and a host of fluorescent classmates bouncing off the walls at increasingly dangerous speeds, can Wilmer prove he has what it takes to save the sixth grade from a colorful demise before it’s too late? Does this book sound really cool, or what? My son and I are in the process of reading it together, and we are both really enjoying it! My 6th grader is anxiously waiting to get her hands on it next! Want to win a copy of this awesome book?? One lucky winner will win the following Prize Pack! Aw--this looks adorable! I wish I knew some kids who'd appreciate it. Since moving to HS, I've lost all my MG readers. Sure does! I really want to see the awesome mustache collection. Yes, it sounds like a book we would really enjoy. Thanks! I've been reading middle grade fiction for three months, keeping ahead of my grandchildren. This sounds like one I need to buy and gift them!